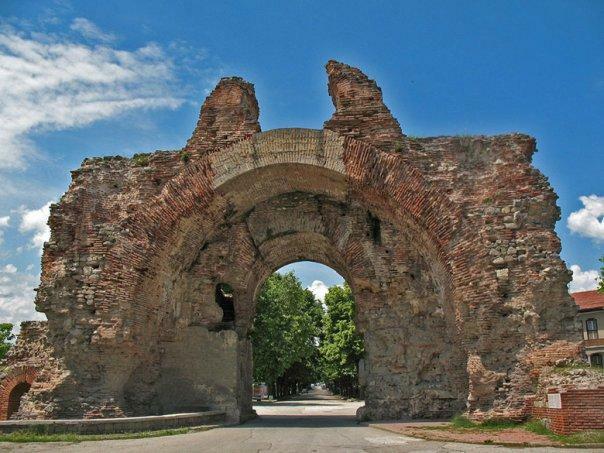 Long before the Bulgarians came to the Balkans, they were inhabited by Thracians – as early as 3500 BC. 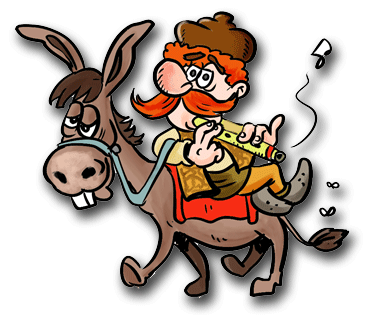 On the territories of today`s Bulgaria. Serbia, Macedonia and Greece lived more than 50 different Thracian tribes. Although they were from the same ethnicity, they did not live in peace and each of the tribes fought for its independence and establishment of its own state. In the 5th century BC one of the tribes – the Odrysians, became powerful enough to take over most of the Balkans and establish the largest Thracian kingdom. 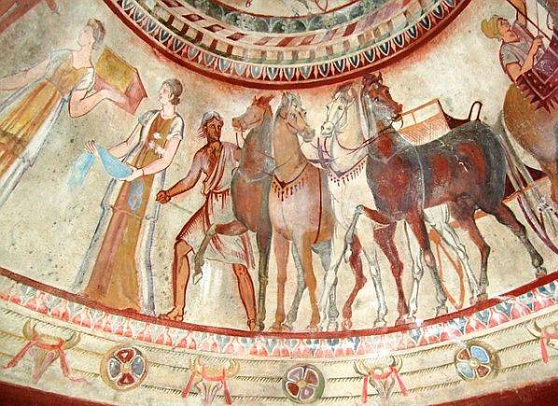 There are hundreds of Thracian tombs, temples and treasures today that are spread all over the territory of Bulgaria. 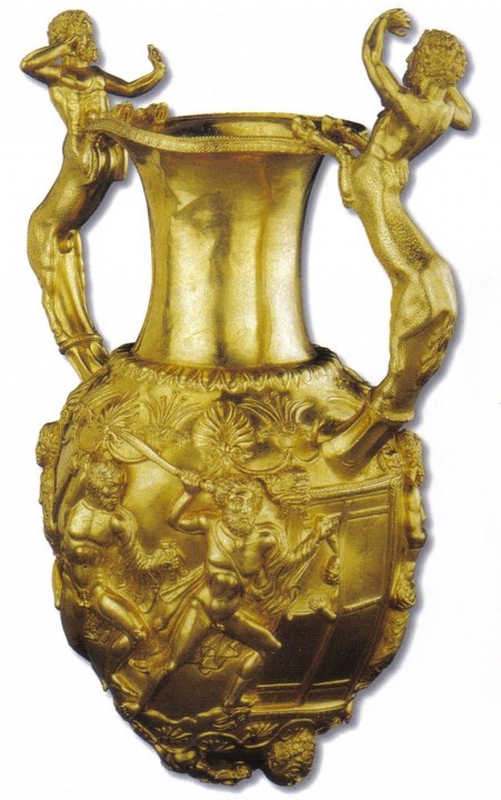 Some of the notable examples of Thracian legacy are the tombs in the Valley of Thracian kings in south Bulgaria and the gold Treasure from Panagyurishte. The Odrysian kings were hellenized and had adopted the Greek alphabet, but kept their sovereignty until 46 AD when Thrace was taken over and became a roman province. The history of the Byzantine empire starts with the moment when Constantine the Great decides to move the seat of the Roman empire to Constantinople (today Istanbul), with the goal of improving the defense of all endangered provinces and in this way, founding a second Rome. By the time Thrace became part of the Roman empire, the entire population of the Balkans was already hellenized, embracing the Greek culture and language and although the Latin was an official language for a while, it did not establish itself well in the eastern provinces and was one of the main reasons for the division of the empire in two – the Western (Latin) Roman empire and the Eastern (Greek) empire – Byzantium in 467 AD. After the detronation of the last Roman emperor – Romulus Augustulus, the authorities in Constantinople considered themselves the only legitimate inheritants of the Roman empire. Byzantium managed to push back barbaric tribes well until the 5th and 6th century, when the Slavic tribes and the Bulgars started slowly to conquer its territories on the Balkans. 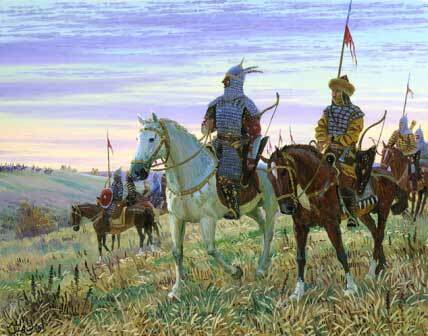 Confronting the Bulgars and Slavic tribes for the first time. The Bulgars started their journey to Europe from central Asia, leaving their ancient homeland during the Migration Period in the 1st century AD. For the first time, a Byzantine chronist mentions the Bulgars in the 4th century AD as inhabitants of the lands around the Caspian, the Azov and the Black sea with territories reaching to the fore-mountains of Caucasus. During the same Migration period, South Slavic tribes migrated to Eastern Europe and settled along the Danube and the territories north of the Black sea and started to slowly conquer the northern territories of Byzantium. The South Slavic tribes united with the Bulgars and together became strong enough to defeat the Eastern Roman empire and this soon led to the founding of Old Great Bulgaria on the territory of modern Ukraine in 631. This first state later moved further west to the territories north of the Danube. Learn more about the establishment and history of the First Bulgarian Kingdom from the next article.